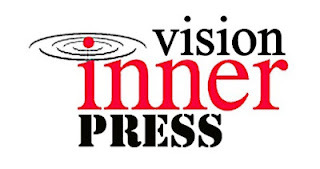 Inner Vision Press are happy to announce that Sharon Duvall's book "Look Inside and Find The Gift" will be published in the Spring of 2017 as a second edition. Sharon's wisdom comes in the form of a pocket guide to Personal Development and Spirituality that will Inspire and help those new to Enlightenment, remind seasoned Light Workers Who they are... and guide the rest of us back on the path of healing and happiness. The 64 page book contains three parts: Twist and Tales of Life's Mysteries, The 10 Golden Messages and an A to Z Glossary of Spiritually Aware word's and terms we should all practice and use positively in our daily lives. Sharon believes the Universe is designed to create more of what we want and focus our attention on. And by living positively and affirming our truth, we can align ourselves with abundance and miracles. "Whilst creating this book I spent quality time with various people guiding them to experience their lives in the way they desired them to be. Just feeling good about themselves and who they are, brought amazing results. Therefore, by following the same principles within this book you too can produce amazing effects for yourself and others around you. Everybody who reads this book will themselves have different aspects in life that they desire or wish to improve, your own-self, relationships, careers, finances or any other prospects you have in mind. This book will show you how to experience life in a new and amazing way. If you have picked up this book and are reading these words then there is something in this book that is a message for you! This way of being will become second nature like everything else you do in your life." 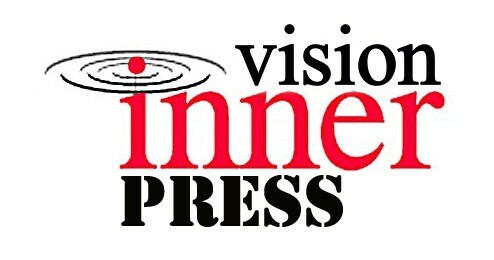 Look Inside and Find the Gift (Inner Vision Press 2017). Copyrights Inner Vision Press, 2016.
soon to be produced movie "Dance of the Blue Tattoo." 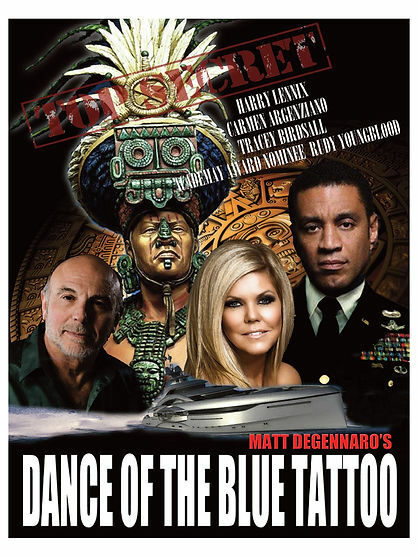 Matt DeGennaro - screenwriter, published author, script writer and owner of Blue Coconut Productions LLC - is to have his script "Dance of the Blue Tattoo" produced as a full length feature movie starring Tracey Birdsall, Harry Lennix, Carmen Argenziano, Ed Harrison and Academy Award Nominee, Rudy Youngblood. Matt will be co-directing the movie alongside executive producer Del Weston. Del Weston spotted Matt after his scripts won not one but two awards at this year's Action On Film festival.